When he's named as the sole beneficiary in the will of a late comrade, Captain Haddock must set sail to collect his strange bounty, accompanied by the intrepid Tintin. A surprise message from Istanbul is about to ruin Captain Haddock's day. Named as sole beneficiary in the will of his late comrade Paparanic, Haddock sets sail with the intrepid Tintin to collect his strange bounty – but is all as it seems? Aided by their friends – including the eccentric Professor Calculus, Snowy the dog and the bumbling Thomson and Thompson – Tintin and Haddock are soon confronted with slippery lawyers, ex-pirates and dangerous gangsters in an action-packed adventure set in the exotic locales of Turkey and Greece. 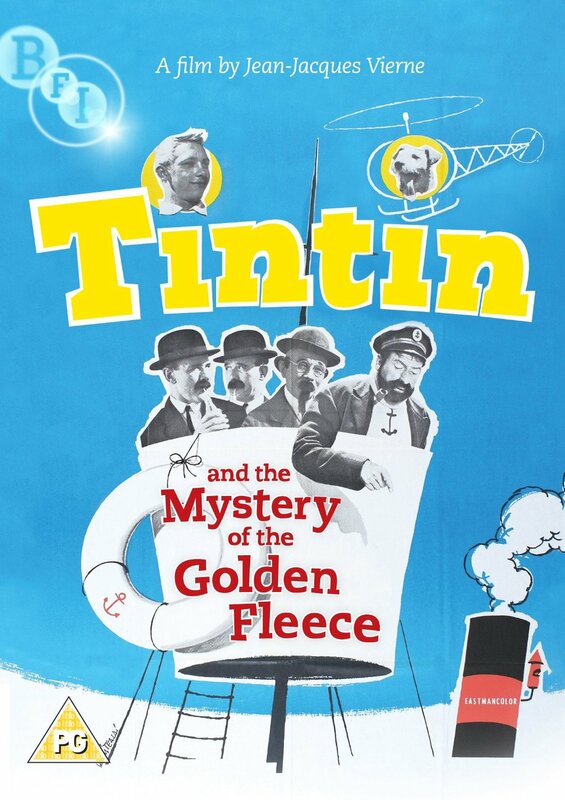 Tintin and the Mystery of the Golden Fleece is a spirited live-action take on his iconic comic creation, featuring all his best-loved characters. Jean-Pierre Talbot's expert martial arts skills and his uncanny portrayal of Tintin, and George Wilson's larger-than-life Captain Haddock combine to lift the comic books from page to screen in a film which no Tintin fan, young and old, will want to be without. Rare optional English-language dub of feature. Fully illustrated booklet with newly commissioned essays and notes by actor Jean-Pierre Talbot.